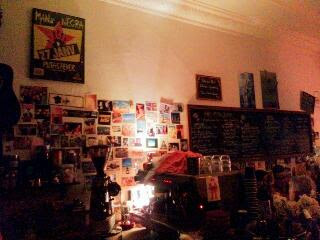 After work meeting at La Niche Cafe on Smith Street. 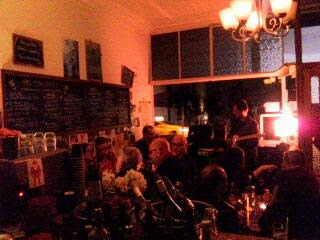 The tiny cafe was filled with diners, live music started playing from around 7.30pm onwards. 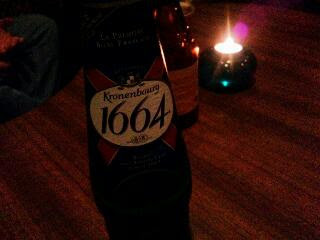 The drink of choice was Cronenburg 1664, naturally. Too bad I didn't think to ask for the blanche, though I am not sure if that was even a choice. They don't seem to be imported to Down Under. Our group occupied the upstairs area. We could not hear the live music very well, but still had French chansons above our chatters and alcohol and cheese and meat platter. 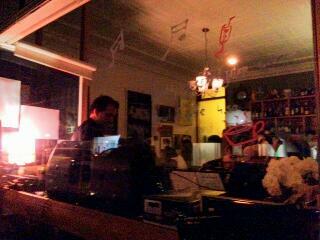 Very cool little place. Visits like these make me feel I've made the right decision on moving across the ditch.